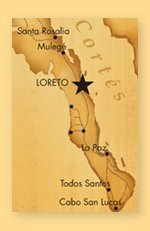 Here’s a short video (see below) I shot in Loreto, Baja California Sur for a Stark Insider TV episode that features the gorgeous Mission Loreto. 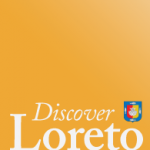 Scenes from Loreto in this clip include: Downtown Loreto, El Rey del Taco, City Hall, the first Spanish mission, the Malecon and Sea of Cortez, and the Misión Nuestra Señora de Loreto. We’ve been filming various segments in town and also at the Loreto Bay resort in Nopolo (about twenty minutes by car on Highway 1). While I won’t be able to fully edit the various videos in their full form until I get back to the rig back home in Silicon Valley, I had a bit of a lark assemblings odds and ends. In case you missed it, we also shot some footage at the (always) remarkable Farmer’s Market. And Loni Stark was caught on her Loreto Bay tower painting the Sierra de la Giganta mountain range for “The Artist Diaries”. And I admit it: there’s more than a tad of self-indulgence- no doubt, I filmed this partly in honor of my chica Loni Stark’s birthday which we celebrated here in Loreto. I couldn’t think of a more special place to spend that special day. Beauty overloads the region. There’s few places in the world where the sea and mountains conspire to create such jaw-dropping vistas. This time, with “Soul Searching,” we toured downtown. City Hall is an iconic landmark. And the Misión Nuestra Señora de Loreto, of course, a piece of rich history. Walking through these magnificent structures leaves a lasting impression. Can a soul be saved in Loreto? 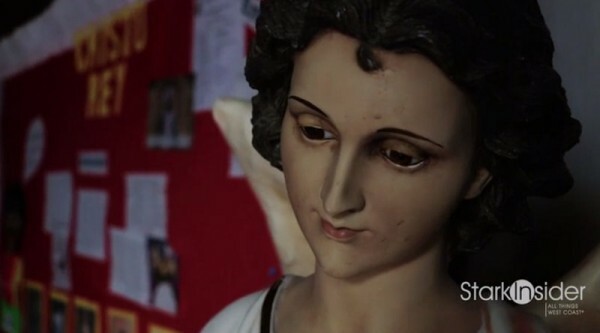 “Soul Searching” in Loreto, Baja from Stark Insider on Vimeo.